Last March, on Pi Day (March 14, 2015), I put together a mathematical magic show for the Pi Day festivities at our local library, compiling various tricks that I teach to our future secondary teachers. I was expecting an audience of junior-high and high school students but ended up with an audience of elementary school students (and their parents). Still, I thought that this might be of general interest, and so I’ll present these tricks as well as the explanations for these tricks in this series. From start to finish, this mathematical magic show took me about 50-55 minutes to complete. None of the tricks in this routine are original to me; I learned each of these tricks from somebody else. Magician: Tell me a number between 5 and 10. Magician: On a piece of paper, draw a shape with corners. Don’t draw something really, really tiny… make sure it’s big enough to see well. Audience: (draws a figure; an example for is shown) The Magician also draws this figure on the board. Important Note: For this trick to work, the original shape has to be convex… something shaped like an L or M won’t work. Also, I chose a maximum of 10 mostly for ease of drawing and counting (and, for later, calculating). Magician: Tell me another number between 5 and 10. 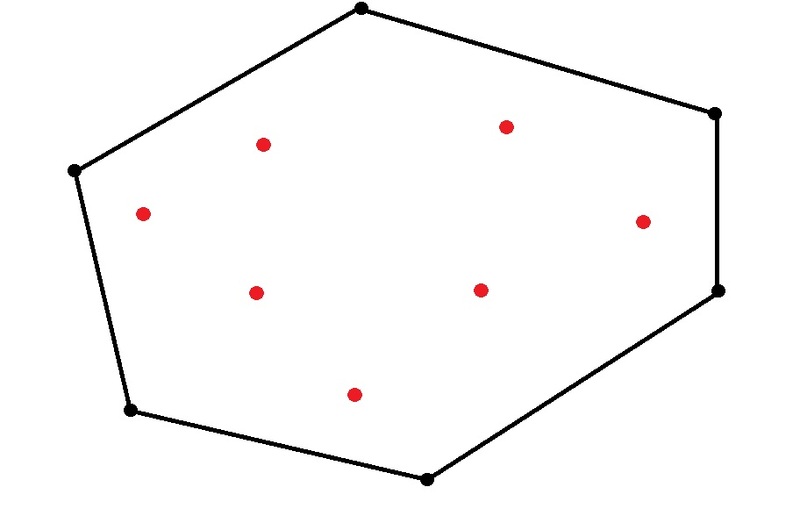 Magician: Now draw that many dots inside of your shape.The Magician also draws dots inside the figure on the board, an example for is shown. Audience: (starts drawing dots inside the figure) The Magician also calculates and says, “Now while you’re doing that, I’m going to write a secret number on the board,” discreetly writes the answer on the board, and then covers up the answer with a piece of paper and some adhesive tape. Magician: Now count the number of triangles. Magician: Was your answer… (removes the adhesive tape and displays the answer)? The reason this magic trick works so well is that it’s so counter-intuitive. 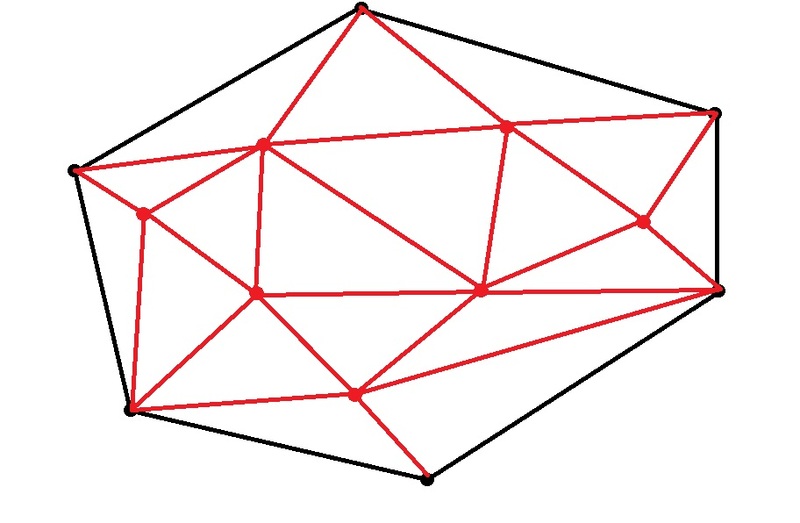 No matter what convex gon is drawn, no matter where the points are located, and no matter how lines are drawn to create triangles, there will always be triangles. 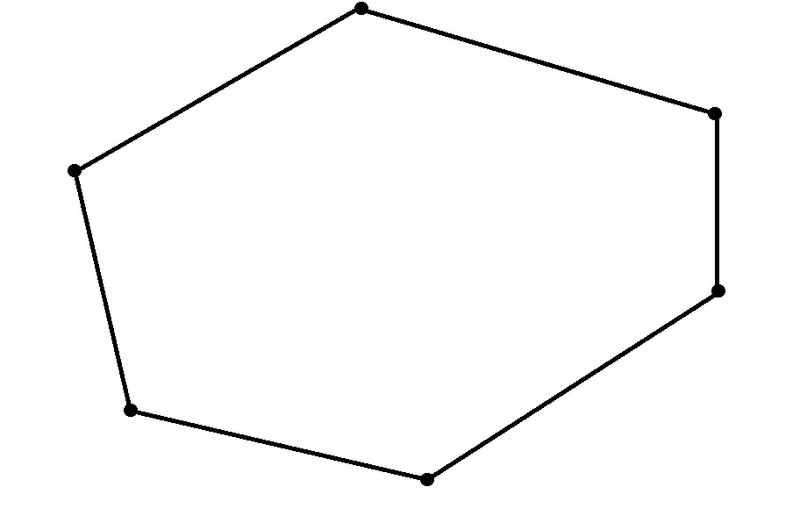 For the example above, , and there are indeed triangles in the figure. In tomorrow’s post, I’ll explain why this trick works.